Cirrus, based in Cincinnati, OH, is known for its vacuums that use multi-stage micron filtration with HEPA filter bags, electrostatic exhaust filters and HEPA rated filters. Most of the dust bags that Cirrus manufactures for its line of vacuum cleaners, including ProGrade micro-filtration bags and HEPA high efficiency synthetic bags with dust seal & dustlock, are made with high filtration multi-layers and added exhaust filters. They work hard to prevent allergen particles from escaping while vacuuming. These bags prevent leakage that can cause allergy-causing particles to be blown into the air while vacuuming and the self-seal dust flap prevents the escape of allergen during bag changes. With their exceptional filtration, Cirrus HEPA bags help support those suffering from allergies and can also give your vacuum a little power boost. 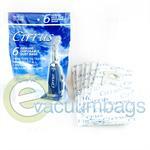 Genuine Micro Filtration Paper Vacuum Bags for Cirrus and ProGrade Upright Model Vacuums using Style A Bags. 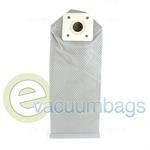 Genuine Dump Cloth Vacuum Bag for Cirrus 8000 and 9000 Upright Series Vacuum Cleaners. 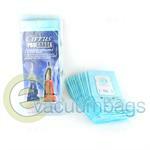 Genuine HEPA Vacuum Bags for All Cirrus Upright Vacuum Cleaners using Style A Bags. 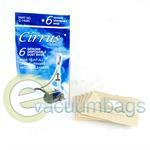 Genuine HEPA Paper Vacuum Bags for Cirrus Lightweight Upright Model CR49 Vacuum. Genuine Paper Vacuum Bags for Cirrus VC248 Canister Vacuum Cleaner.